Elusive Beast Editing – Pursue perfection. You’re in the business of communication. When you need copy that’s powerful, polished, and professional, “good enough” just isn’t. Perfection is an elusive beast. Sit back, relax, and let Elusive Beast Editing handle the pursuit. Laura Cappello Bromling is certified by the Editors’ Association of Canada as both a copy editor and a proofreader. EAC certification is the gold standard of editing. It identifies editors who are masters of their craft—who are not just competent, but excellent. When you work with a certified editor, you get the expertise you’re paying for. With expert knowledge of industry-standard style guides such as the Chicago Manual of Style and Canadian Press Stylebook, as well as tools like Microsoft Word and Adobe Acrobat, Elusive Beast is a one-stop shop for generating a clean, formatted, professional document. Elusive Beast has extensive experience with a wide range of government, business, and technical documents. Whatever your editorial challenge, odds are we’ve seen it before and can advise you on the best and most efficient solutions. Get expert support when you need it. We’ll work with your timelines to help you deliver a polished product—fast. Working with Laura is a pleasure! She diligently looks after our work and always keeps us headed in the right direction. She takes it upon herself to fully understand our projects before we begin—saving us both time and money. With an impressive turnaround time, we have never been left waiting for her to get back to us. Laura’s comments and high-level understanding of the regulatory, legal, and accounting frameworks is always impressive. She takes care of us like none other and we are proud to recommend her as one of the most creative communicators in Canada. Peter M. Woodfine	Woodfine Management Corp.
You have truly done outstanding work! Our proposal is miles ahead because of your help. What makes what you do so great is that you don’t try to change the recipe, but you vastly improve it! Laura is the most professional, rigorous, and knowledgeable editor we have ever worked with. We have absolute trust in her work, her judgement, and her dependability. To be honest, I would rather not recommend her so that she always has time for us. Substantive editing (also known as structural editing) means editing “ideas” to make sure that the information or narrative you’re presenting is clear, complete, and logically ordered. Copy editing means correcting errors and inconsistencies in grammar, usage, spelling, and punctuation. Stylistic editing means improving style and flow. It focuses on uses of language that, while not technically incorrect, might impede the clarity or impact of the writing. For this reason, stylistic editing involves more “judgment calls” than copy editing. Proofreading means reviewing the final version of an edited document to catch typos, spelling mistakes, and minor inconsistencies. 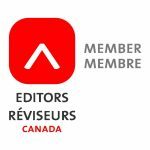 For more information on the different types of editing, see the Professional Editorial Standards of the Editors’ Association of Canada. The cost for a given project depends on length, complexity, and required level of editing. Contact us any time for a no-obligation estimate on your project. A perfectly healthy sentence, it is true, is extremely rare.